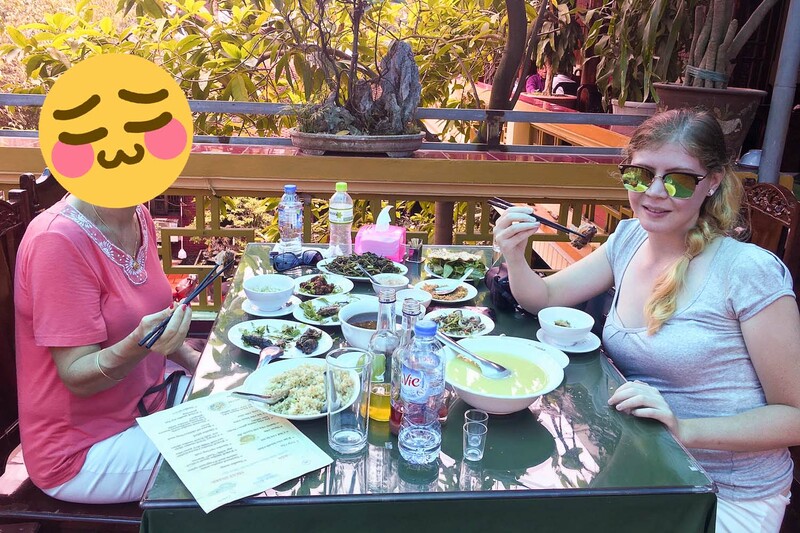 Our hotel recommended us the Nguyen Van Duc Restaurant - a popular spot with the locals. Nestled in a crooked alleyway behind the main road we walked in with trepidation - but once inside everything happened very fast. The lone English speaking staff gave us an option of a few types of snake. We chose the cobra for 1,000,000 dong (about $50USD). After the staff removed the snake venom they quickly killed the snake and ushered us to our table. 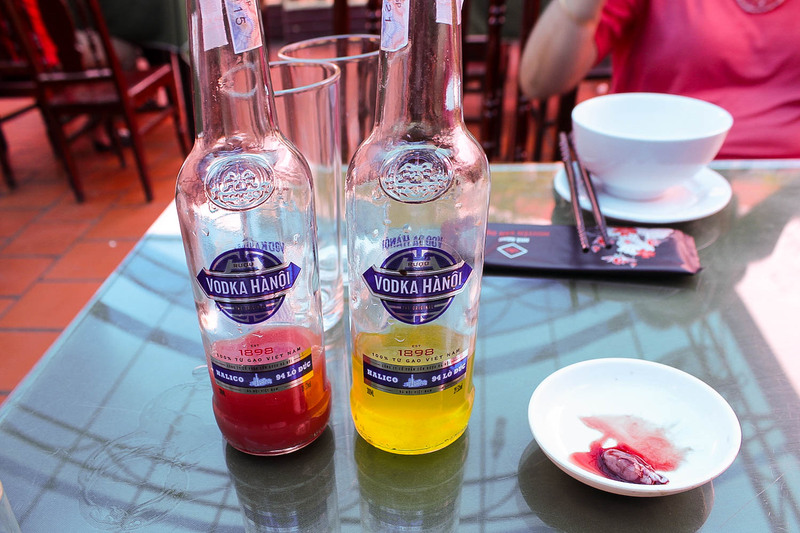 We were presented with 2 bottles - one filled with with blood and rice wine and the other with bile and rice wine - and one plate with the beating heart of the snake. 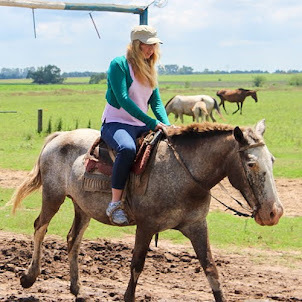 I mustered my courage to down the beating heart with a shot of blood like its done by the locals, but I just couldn't bring myself do it. I think a bottle of liquid courage before I arrive is what I'll need before my next visit. The staff gave us a menu which detailed the 11 ways our cobra would be prepared - every part of the snake is used with not a single piece going to waste. 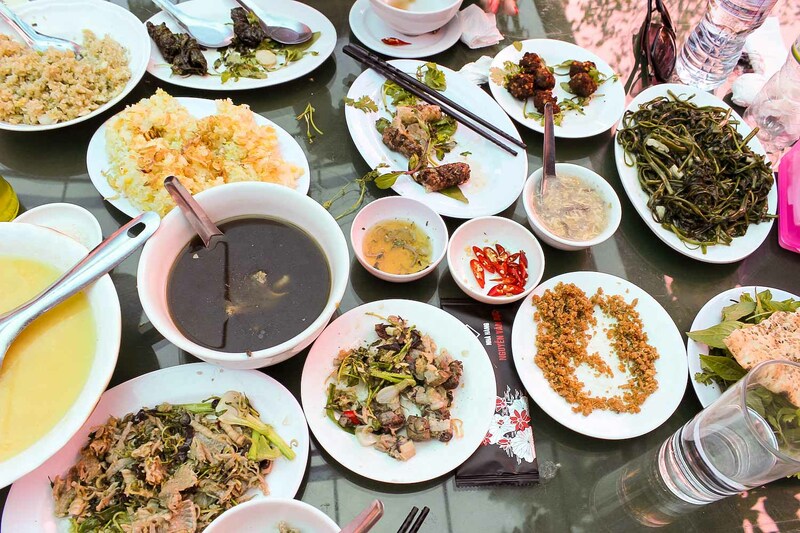 It wasn't long after that our feast began to materialise itself with plates quickly coming out one by one. 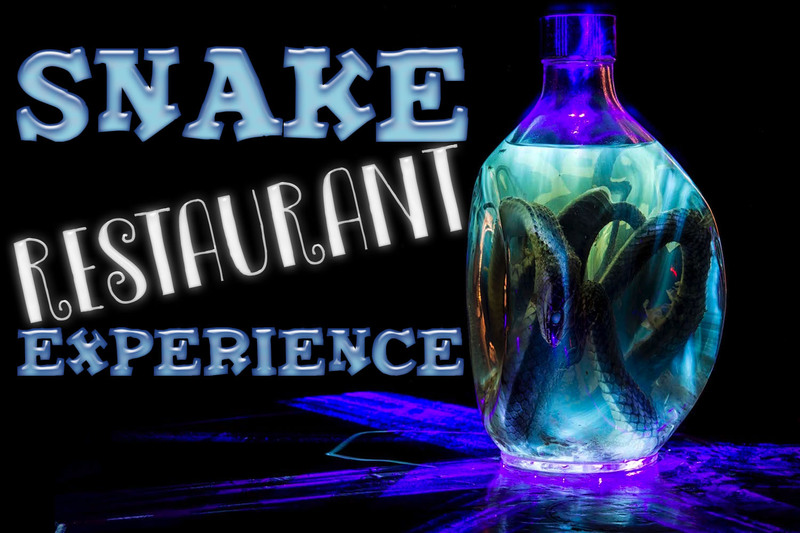 Since this restaurant was frequented by locals the wait staff did not speak English but using the menu we could still figure out what part of the snake we were eating. 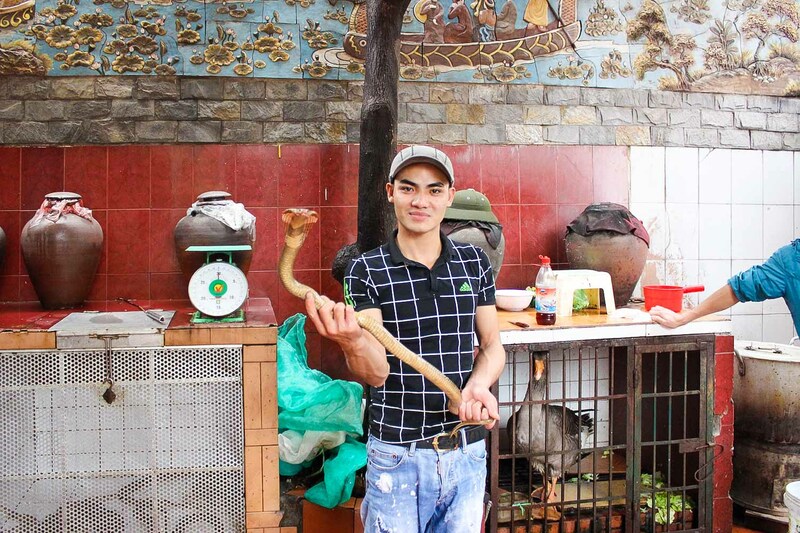 The first two dishes were relatively tame - vine leaf snake roll and snake spring rolls. When they say no part of the snake was overlooked they really mean it. 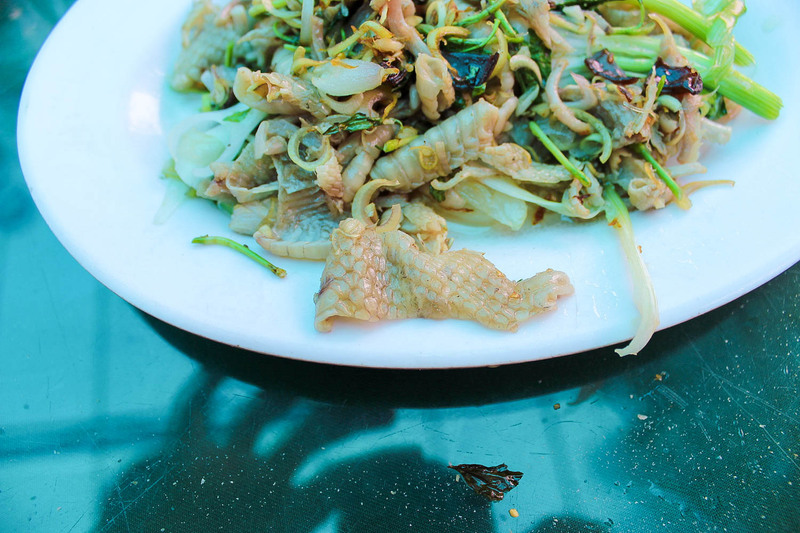 One of my favourite dishes was made from sauteed cobra skin - I could feel the scales tickling my throat as it went down. 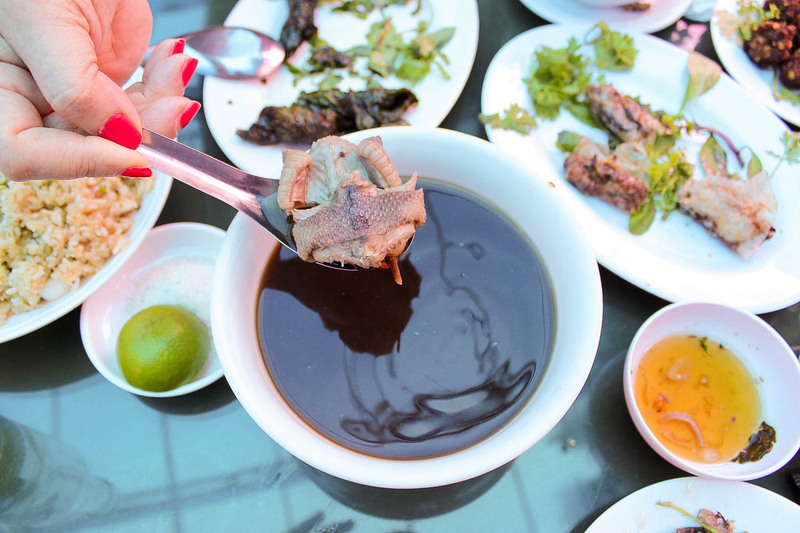 The further I got into the meal and the more blood and rice wine shots I drank the less I cared about the fact we eventually progressed to eating stewed snake soup with a cobra head staring up at me. Our entire spread of 11 courses shared between just the 2 of us could have potentially fed a family. 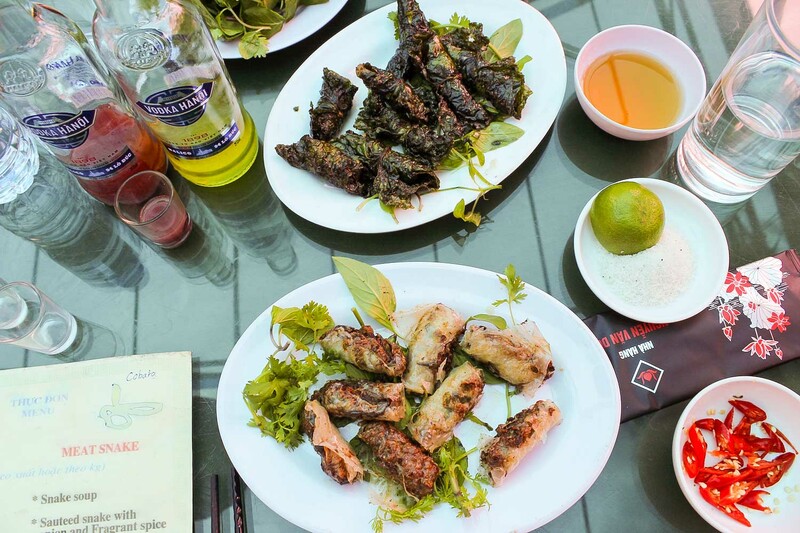 Basically a buffet of snake, I feel like this experience is something I would do on a celebratory occasion if I were ever a permanent resident in Vietnam. All in all, the experience was certainly unique. Eating something that was alive only moments ago (a snake nonetheless) was probably one of my once in a lifetime experiences. 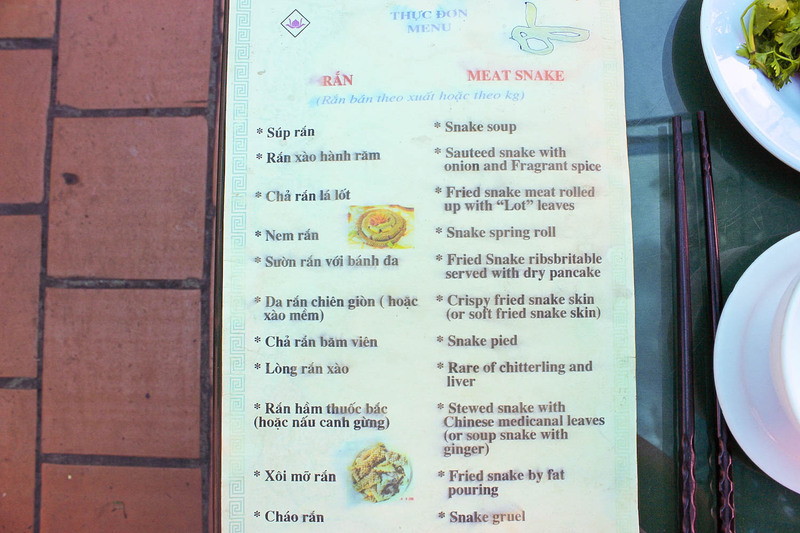 As far as exotic meats in Vietnam go I think snake is the furthest I'll ever venture (I've heard there is a "canine street" somewhere in Hanoi that I hope I never accidentally stumble upon).